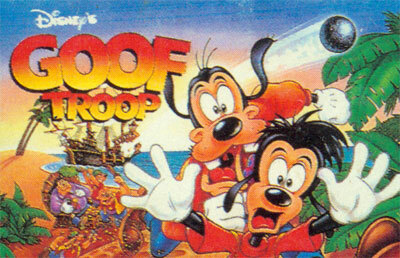 Goofy and his son Max were enjoying a peaceful day of fishing, when Keelhaul Pete absconds with Pete and PJ. Now it's up to Goofy and Max to travel to Spoonerville Island and venture through the jungle to rescue their friends. As either character, you'll take on an army of surly swashbucklers as you dodge exploding cannon balls and search dank dungeons on your way to the final showdown with Keelhaul Pete. Along the way, you'll have to dig for treasure and solve puzzles to find the keys that will allow you to enter the pirate's hideout and face Pete.